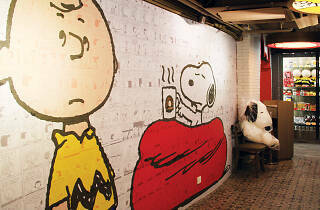 A Tsim Sha Tsui café that dedicated to the Peanuts comics. Without the gimmick of Peanuts, Charlie Brown Café could already attract diners with their large variety of drink options alone. 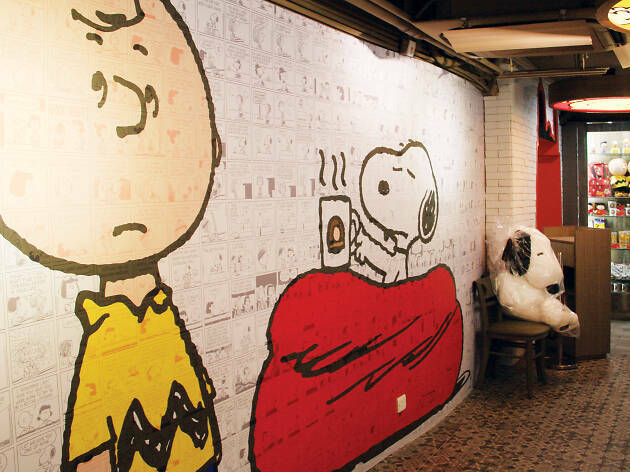 Their menu features more than 40 coffee and ice frappa choices such as Charlie Brown Caffe mocha and latte – complete with Snoopy’s adorable face as latte art. Order up an afternoon tea which is served in a birdcage – inspired by Woodstock – and a range of fun character shaped desserts and dishes. A customer favourite is the Snoopy-shaped moulded rice.